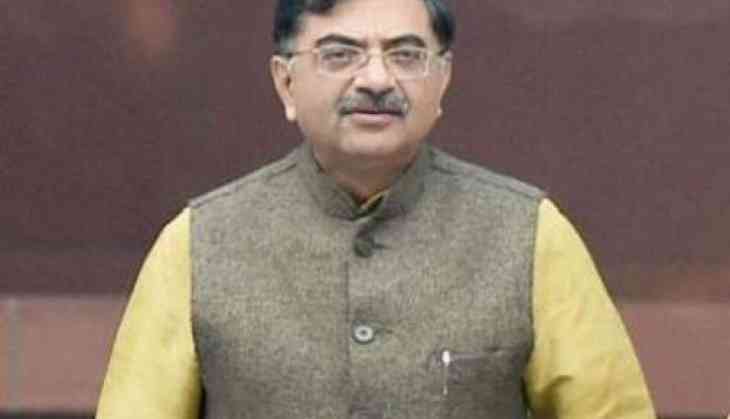 Senior Bharatiya Janata Party (BJP) leader Tarun Vijay on Wednesday said he will file a police complaint over the "misuse" of his Twitter handle. Vijay took to Twitter to clarify that the anti-party tweets on his timeline were not done by him, and his 'account password was misused'. "Thank you friends for showing faith in us and not believing the wrong tweets. It happened when we were shifting home. Password misused and I am filing a police complaint. Changed password. Thanks to the huge number of friends who stood by me. Thank you," the tweet read. Earlier in the day, Vijay, in a statement to ANI, claimed that the tweets were a "pre 2019 conspiracy." "I have deactivated it (Twitter account). This can be a plot. I will live and die for (Narendra) Modi and Amit Shah. They are Pandit Deendayal Upadhyay and Dr. Syama Prasad Mukherjee for us small workers. My family and I work day and night for him. My family will die for BJP. No one demanded anything. It is a pre-2019 conspiracy. Please help me from anti-BJP elements," he said. On Tuesday, a tweet was posted from Vijay's handle asking Prime Minister Modi to "shed his arrogance". "Hello. you are NOT there bec you are very popular. you are there bec there is this person behind you. @narendramodi. shed your arrogance. Oh My god, you think you are very popular!!!" the tweet read. Another tweet on Congress President Rahul Gandhi's Kailash Mansarovar Yatra read: "Those commenting, mocking at, Making cheap comments on Rahul's Kailas Yatra are wrong. Not what a Hindu should do. it is is all between him and Shiva. None can be bigger than Shiva. I hv been blessed to visit Kailas three times and president of Kailas Manasarovar Yatri Sangh."